Now that winter is really here it is time to try the Cure for Chilblains contributed by Mrs. Middlemiss for the 1898 New Galt Cook Book. In the past my only experience with chilblains was in the pages of story books when characters suffered from this winter problem. That was until I discovered some real people who get them. Chilblains are painful itchy bumps that appear on hands and feet after being out in the cold and then coming in to heat. Not everyone gets them but some people are more prone to this circulation problem. Check out this article for more information about what they are and how to deal with them. In the meantime I’m going to try this old treatment. I took a teaspoon of butter and started adding salt into it. I was able to work in about a tablespoon of salt. I decided to test he mixture on my foot (I figured it would at least slough off any dry skin if nothing else) so I washed the area in warm water and then dried it. I started rubbing the prepared butter mixture on my foot. Mrs. Middlemiss is probably Margaret E. Dalgleish. I wrote a lot about her on day 169 when I made her Amber Pudding. I was able to tolerate the cure for chilblains for less than a minute. The butter started to melt into my skin but the salt was rough. It reminded me of a pumice stone or one of those facial scrubs. I don’t know if I was supposed to leave it on but I decided to rinse it off with warm water. I dried my foot again and discovered my skin was nice and soft if a bit buttery smelling. I have no idea if this would work on chilblains but you’ll smell of warm salty butter — something like a movie theatre — and have softer skin. If you have chilblains and can safely try this, let me know how it works for you. Bathe the feet in hot water, dry thoroughly before the fire, then rub with the following as long as possible. Take a piece of butter the size of a walnut with as much salt as can be worked into it. One or two applications will generally cure the worst cases. I can’t believe it! I fell asleep soon after I got home from work and didn’t wake up for several hours. I now must find something I can make quickly and then I’ll head back to bed. I’ve decided to make a Cure for Hiccough since one of my co-workers often gets hiccoughs and I’ve threatened for months to test this “cure” and bring it in for him. The recipe appears in the Simple Cures section of The New Galt Cook Book (1898) and it is attributed to A Friend from Harriston. I bought some slippery elm about a month ago at a store that carries a variety of herbs in bulk. I put a teaspoon of slippery elm bark in a cup and then poured some boiling water over it. 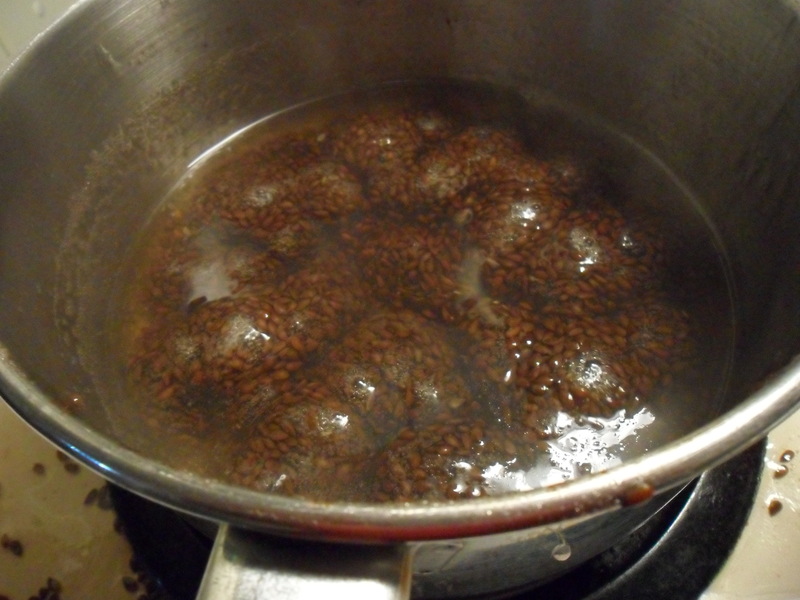 Once it had steeped for a while I strained it and added a bit of sugar. I chose to sample it hot but I’ll also taste it tomorrow. Harriston Ontario is not in Waterloo Region. This town is located not too far away in Wellington County. This “cure” tastes okay. I don’t mind the flavour of slippery elm bark and of course this recipe lets me add my preferred amount of sugar. What I don’t know is whether this concoction will cure hiccoughs (hiccups). I wonder if I can convince my hiccuppy co-worker to try it? Update: It tastes fine cold too. 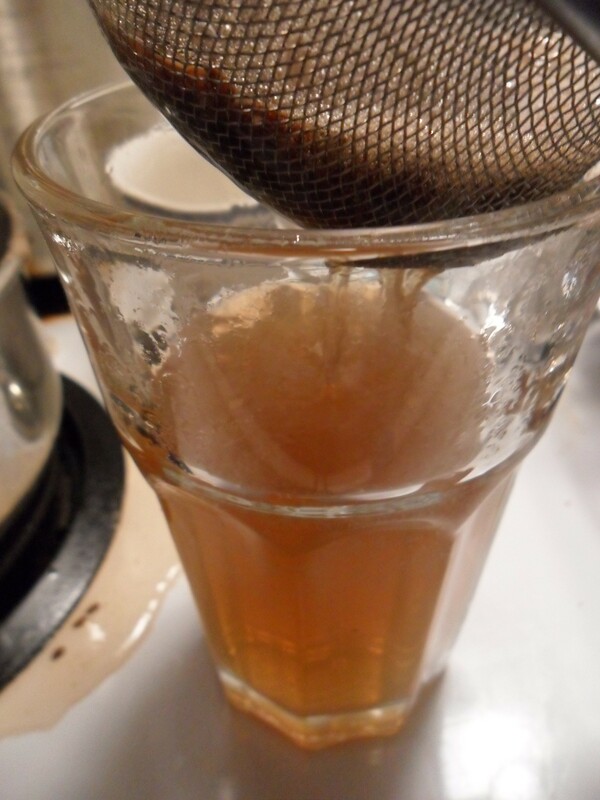 A good cure for hiccough is slippery elm-bark boiled and made sweet with sugar. I’ve been sick today so I looked at the recipes for stomach issues. They require someone who’s feeling well to prepare them as they involve working with raw beef or boiling flour or oatmeal. I’ve opted instead for a simple recipe that might help the scratches I’ve acquired along with my two little kittens. I’m using Miss Addison‘s recipe called Cure for Cuts and Bruises in The New Galt Cook Book (1898). On the weekend I checked some of my supplies and realized I had lots of alum. It dates from the years of making pickles before people started questioning the safety of alum for internal consumption. According to the McCormick spice and herb site, alum is Ammonium Aluminum Sulfate. It is a crystalline powder used to keep pickles and other things firm. When I was a child my father had a styptic pencil he would wet and put on any cuts after he shaved. Apparently that was alum too since it is an astringent. I wasn’t sure how much alum to dissolve in water. Is this like a poultice or is it more like an antiseptic? How long does the cloth have to stay on? Does it need to be changed? I decided to add as much alum to warm water until it had that astringent quality. I put 4 teaspoons of alum in 1/2 cup of warm water. I soaked a strip of cloth from my rag bag in the water and then wrapped it round my scratched arm. We’ll have to wait to see if the “cure” is effective but I suspect that if this was a fresh and still bleeding scratch it would at least help stop any bleeding and provide a bit of disinfection. Miss Addison is either Grace Addison or Eliza Addison. Both are single adults in Galt in the 1891 census and they are sisters. Miss Grace Addison contributed some recipes under that name so I’m wondering if this recipe comes from Eliza. She’s the elder sister and I think the custom was to address the eldest unmarried daughter by just her surname while the other unmarried girls would include their first name along with the surname. Eliza Addison was born around 1842 in Galt. She became a teacher and taught in both Galt and possibly Toronto. She died in 1913 in Toronto. Are you familiar with this cure? What other home remedies do you use or remember? I grew up with bread poultices for ingrown toenails and baking soda in water for indigestion. Cut fingers and bruises of all kinds if wrapped in a cloth wet in alum water heal with a rapidity that is truly wonderful. Unfortunately today I had my first migraine in a long long time. It’s been so long that I no longer have any of my normal medication. Instead I’ve been using over the counter medication but I thought I could also try Mrs. McDonnell‘s recipe for a Cure for Neuralgia. The term neuralgia seems to have been used for any sort of nerve pain. Days like this make me wonder what it was like for someone in 1898 when The New Galt Cook Book was published. Last night’s recipe came from a woman whose daughter died of nervous prostration. I suspect that would be considered an anxiety disorder or other mental health issue. Pain of any sort came with mixed messages. There was admiration for someone suffering stoically but also an assortment of drugs (morphine, opium, laudanum) to deal with pain that were available at the pharmacy and hidden inside all sorts of patent medicines. Today those drugs have to be prescribed and carefully controlled. The most innocuous of Mrs. McDonnell’s remedies is the one for neuralgia and that’s what I’m trying today. I was afraid the smell would be too much to take while the migraine was at its worst but once it had eased this afternoon I decided to risk this remedy. I always keep a kerosene/coal oil lamp around in case of power outages so I put a bit of the fuel on a cloth and applied it to my temples where I was feeling the most pain. I didn’t expect any change so I was shocked to realize it helped … only for a few minutes but it did help. I suspect the real reason was simply applying a soft cloth and some pressure to the area. It was a good reminder to try a trick I learned years ago to apply pressure to specific areas to provide some relief for headaches. I don’t recommend trying these old remedies, particularly those taken internally, or for serious disorders. Even this one involves a flammable liquid. I put the cloth in water as soon as I was finished. Mrs. McDonnell is likely Annie Hume. She was born in Galt around 1853 but her parents were from Scotland. When Annie was 28 in 1882 she married Robert Wallace McDonnell at the church responsible for this cook book. They had three daughters named Marion, Ruth and Achsah. Via Ancestry I was able to see a picture of Annie and her daughters. Hopefully, I will receive permission to share it with you. I’ve also discovered that Achsah Ena McDonnell established a research bursary at The University of Toronto to be given to a medical student. However, the description of the Robert and Annie MacDonnell Bursary mistakenly uses “his” instead of “her”!! Interestingly one of her sisters left a will which was recently used in a law class examining estate errors. Click here and search for Achsah. You’ll find the passage. FOR NEURALGIA —- Pour a tablespoonful of coal oil on a soft cloth, and squeeze well through it, and put it on where the pain is felt. FOR BURNS — Wet cotton batting with coal oil and put on the burn, keeping there until it is well. Sorry, this is not a way to warm up the weather. Instead it is supposed to help cure the cold virus that waylaid me yesterday. A recipe for Cure for a Cold was contributed by Mrs. Richard Jaffray for the 1898 New Galt Cook Book. I weighed two ounces of flax seed and it equals 5 tablespoons. I put the seed in a pot with one quart (4 cups) of water and let it boil. Unfortunately I got sidetracked and let it boil for about 30 minutes and some boiled over. Although I lost a bit it was still fine. I strained this incredibly gelatinous mass to end up with a liquid that looked like clear mucus — at least to my congested view. I put the liquid back in the pot and added 1/2 pint (1 cup) of honey. 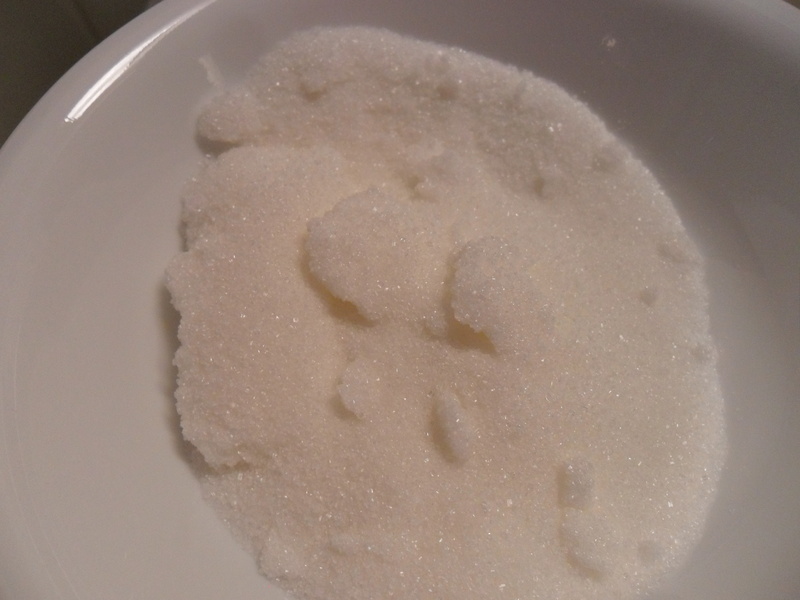 I didn’t have rock candy so I simply added two ounces (4 tablespoons) of white sugar. My sugar had clumped up so it seemed a bit like rock candy. Finally I squeezed the juice from three lemons. I try to have the lemons at room temperature and roll them a bit before I cut them and squeeze the juice. I stirred the “mess” together and let it boil for about five minutes. The texture had changed completely. Instead of gloop plus honey with lemon juice floating on top no matter how much I stirred, the heat melted everything and it blended well. I strained it again and poured it into a bottle. I poured out half a cup while it was hot and drank it before my meal. Mrs. Richard Jaffray would have been a familiar name in Galt in 1898. She started life as Mary Havill. Born in 1848 in Galt Ontario to English-born parents, she was the middle child and only girl. Mary had two older brothers and two younger brothers. She must have met and married Richard Jaffray sometime before 1870 when their first child was born. The woman who had four brothers ended up raising three daughters. Her husband was a printer and a public official. He took a turn as mayor of Galt and was a reeve for seven years. After his death in 1901, Mary and two of the girls continued to live in Galt. The 1921 census shows them living at 80 Blair Road and that is where Mary was living when she died the next year. I wasn’t sure what to expect with this “cold cure”. The Berlin Cook Book had a recipe for a cough cure that seemed to soothe my sore throat and that of others who tried it. Mrs. Jaffray’s recipe uses similar ingredients but requires the sufferer to drink a larger quantity and to ensure it is hot. My first sip was great and I was skeptical that it would do any good. I could taste the honey and the lemon but then it seemed to be both tart and sweet at the same time. Now it seemed like medicine. And yet soon my stuffy nose was less congested. I coughed a bit and my chest didn’t feel so congested. Maybe this stuff was working! I struggled to drink an entire 1/2 cup of the cold cure. It doesn’t taste terrible but it puckers the mouth. I can’t imagine I’ll be able to drink an entire cup of it before bed but I might just sip 1/2 cup. Last night I drank a commercial hot lemon cold remedy. Maybe I’ll try this one instead. I doubt it will “cure” my cold but it might make it more bearable. I’ll let you know. 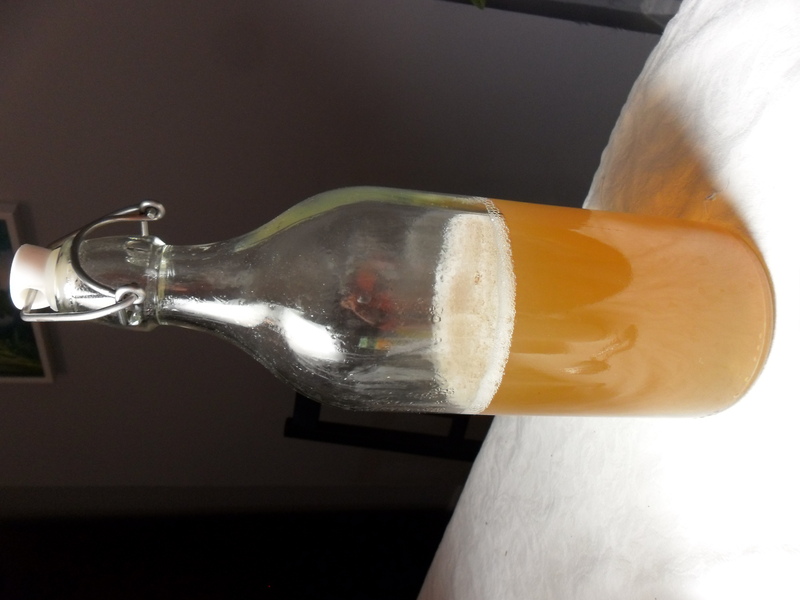 Boil two ounces flaxseed in one quart of water, strain and add two ounces of rock candy, one-half pint of honey, juice of three lemons; mix and let all boil well, let cool and bottle. Dose, one cupful on going to bed, one-half cupful before meals, the hotter you drink it the better.